The Hydro-Mix XT has been designed to measure moisture in flowing bulk solids such as animal feed, grain, rice, pulses and liquids. 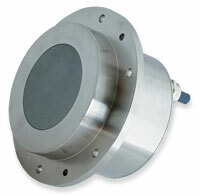 The sensor is constructed from food safe materials and can be easily installed in ducting, conveying and mixing systems in process control environments. Comprising a single, intelligent unit that contains all functionality including signal processing, smoothing and averaging, the Hydro-Mix XT accurately measures the moisture content of material passing over the ceramic faceplate. 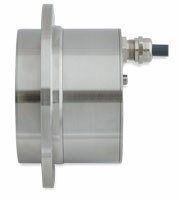 The sensor is designed to be fitted flush with the internal wall of ducting, a conveyor, a mixer or a pressurised vessel (1 Bar Vacuum to 5 Bar pressure) and is easily installed using the supplied Hydronix Fixing Plate. Remote configuration, calibration, diagnostics and firmware upgrades can easily be undertaken using Hydronix Hydro-Com software. 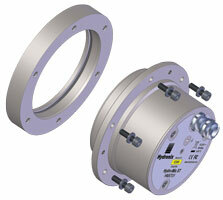 This allows direct integration with any control system without the requirement of any other interface unit. Combined with on-board functionality such as signal processing, smoothing and averaging and with it's linear output, the Hydro-Mix XT is simple to integrate with any control system using industry standard interfaces.